The 'patch' turned up another new species for me this week when I saw a Steppe Eagle over the turf fields. I had seen a bird a couple of weeks before that was almost certainly a Steppe Eagle but it was just too far away to positively identify. 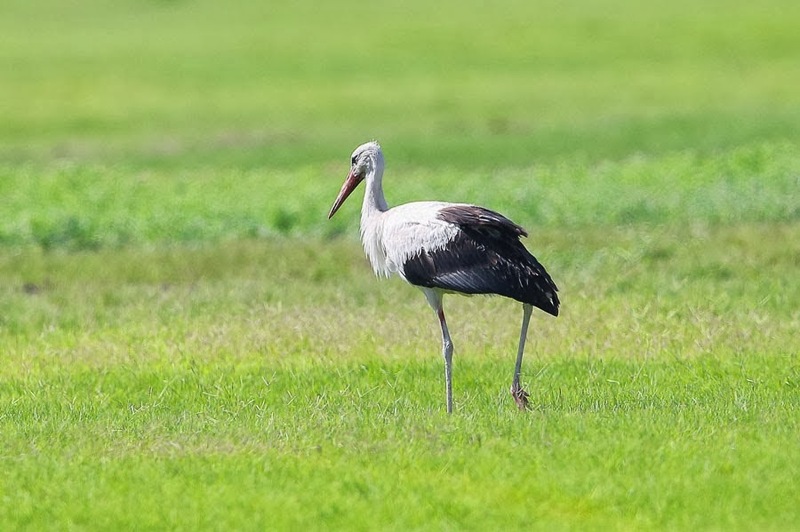 The Steppe Eagle was seen whilst looking at the Western White Stork, which I had located in the dry turf field, the first time I had seen the bird anywhere else other than the football field. As I was walking to try to get some photos of the Stork I saw the eagle in flight but it was at too great a distance to identify. 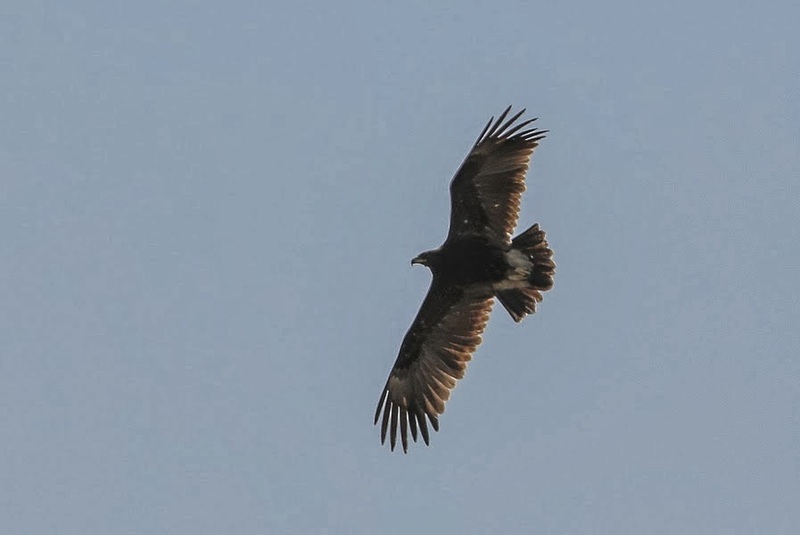 Luckily it flew a little closer to me and as it did it became apparent it was a Steppe Eagle a new species for me for the 'patch' taking my total number of species recorded there to 198. 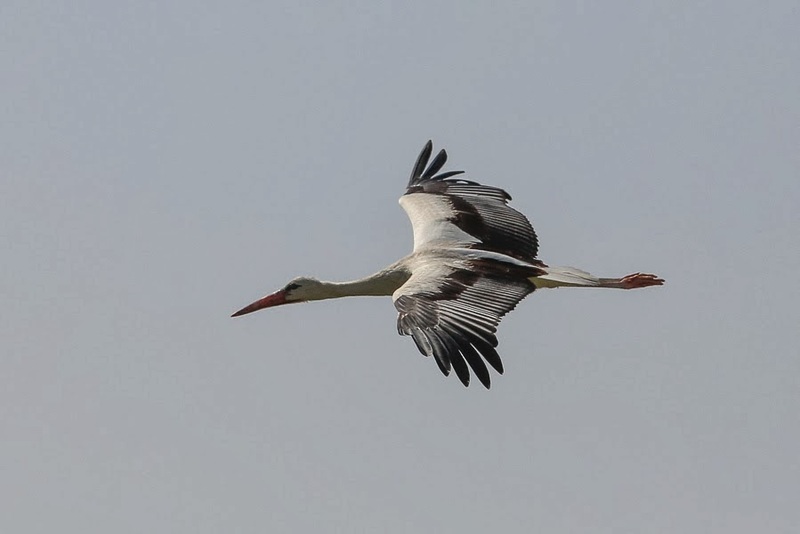 As the eagle approached it flushed the Western White Stork that flew around and over my head allowing a couple of flight photos and then joined the eagle circling around over the fields. 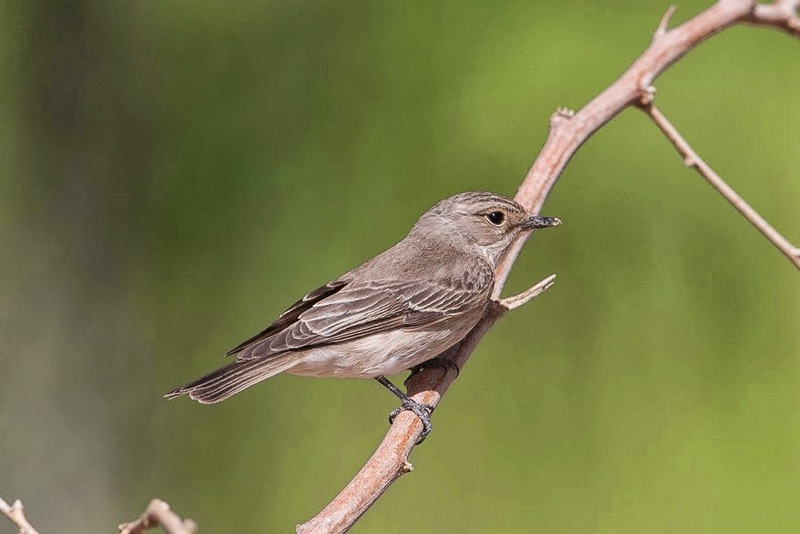 The fields held a few migrants with plenty of Yellow Wagtails, seven Spotted Flycatcher and a European Bee-eater the best birds seen.